[caption id="attachment_10422" align="alignleft" width="293"] The GetUWired team is studying ways to incorporate StoryBrand principles into our processes. 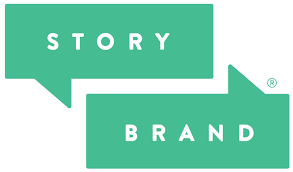 [/caption] When our CEO Melissa Allen and Operations Coordinator Elizabeth Buck came back from the EntreLeadership Summit this year, the one thing they just couldn’t stop talking about was StoryBrand. The book posits that every story functions in approximately the same way. So human brains expect to be told a story in that format. When a customer hears a story in a way they expect, they’re more likely to listen – and absorb the message that causes them to buy. What we love about the StoryBrand framework is that it’s so clear and easy to follow. By using the book’s 7-part framework, every person in our building will be “on the same page” at every step of what we do for our clients. Get started today with a FREE 1-hour consult. Just give us a call at 877-236-9094 or visit us online at www.GetUWired.com today!